Delhi Chief Minister Arvind Kejriwal is yet to respond to the latest crisis in the AAP. 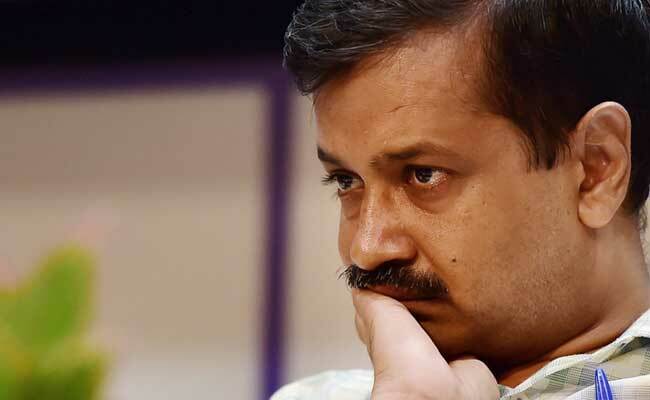 New Delhi: The Election Commission's recommendation to the President today for the disqualification of 20 Aam Aadmi Party (AAP) legislators from the Delhi Legislative Assembly for holding 'Office of Profit' has shaken the party even though it's in majority in the 70-member Delhi assembly. If President Ram Nath Kovind approves the recommendation, by-elections will have to be held for the 20 assembly seats. However, it will not pose a threat to Chief Minister Arvind Kejriwal's government as his party will come down from 65 seats to 45, still above the half-way mark at 35. Mr Kejriwal has always maintained that the appointments of AAP legislators as Parliamentary Secretaries violated no rules as none of them drew any salaries. However, the opposition party has argued that the posts allowed them perks like offices and cars and so were offices of profit. Both the BJP and the Congress as well as former AAP members have welcomed the Election Commission's decision. Mr Kejriwal is yet to respond. Kapil Mishra, who was sacked after he publicly targeted Mr Kejriwal, likened the development to the "art of slapping yourself" and posted a somber pic of the Delhi chief minister. Leader of Opposition, and former Delhi BJP president Vijender Gupta, called the proposed disqualification a" huge moral defeat" for Mr Kejriwal and demanded his resignation on ethical grounds. Better late than never, EC Election disqualifies 20 AAP MLAs for holding 'office of profit'. The AAP govt has much to answer to the public for their political impropriety as Delhi is headed for mid-term #elections. Will request Hon'ble President for speedy approval. "Kejriwal has no right to continue. Half of his cabinet ministers removed on corruption charges! 20 MLAs who were enjoying ministerial perks would be disqualified! Where is Lokpal? The MLAs and Ministers enjoying perks of power and foreign travel-Where is political probity,'" tweeted Congress' Delhi chief Ajay Maken, who had petitioned the Election Commission against AAP. Young leader and BJP spokesperson Nupur Sharma also questioned the Delhi government. Sanjay Nirupam, President of the Mumbai Regional Congress Committee, tweeted, "The new political party #AAP was launched against #VVIP culture. Its 20 MLA's may lose their post for adopting #VVIP status, technically called office of profit. What an irony !" Election Commission verdict is the "final nail in the coffin" of the Delhi government and also in the tall claims of AAP and its deliverance of the Justice to people of national capital, said BJP's Vijay Jolly. Adding a dash of humour were various memes and videos.